Change is challenging. Change is universal. Change is manageable. Much like conditioning our bodies to become stronger and more flexible, we can train our brains to manage the challenge of change. Patients don’t come into my practice because they think candy is better than kale. They come because they don’t know why they keep picking candy over kale. Each of us has our own “candy” and “kale” example. Each of us is resistant to change, even when we know change is better for us. 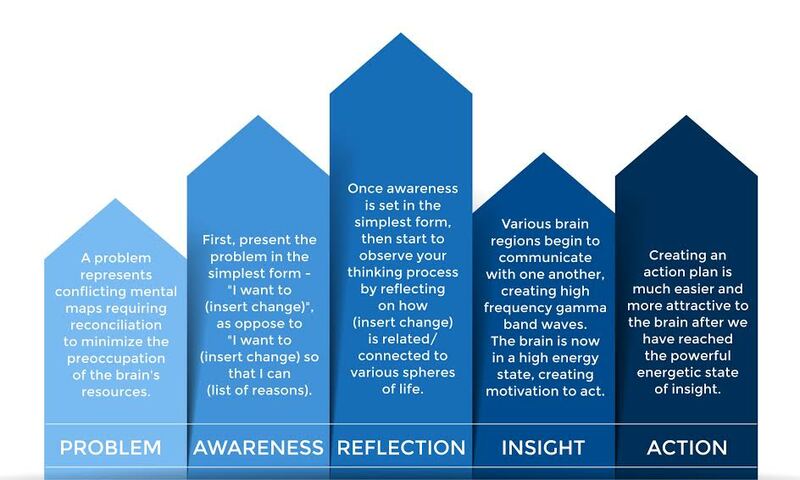 It is helpful to understand our individual relationship with change and how the brain processes change, in order to understand how to make successful changes. We begin our understanding of the challenge of change with the Autopilot Brain. Repeated behavioral and/or emotional patterns are due to mental processes that are evolutionarily programmed, processes that we have rehearsed and automated, or both. Secondly, we explore the Social Brain. Understanding the neuroscience underpinning the challenge of change from the perspective of the brain’s social needs is paramount. Finally, we end our discussion by exploring the Insightful Brain. Creating solution-oriented approaches allows the brain to reach meaningful insights regarding the value and connection to the change. Understanding these 3 factors can help make the challenge of change more manageable, sustainable, and meaningful for our patients, as well as ourselves. The evolutionary brain chooses the path of least resistance. Neuroscientist Evian Gordon believes that “the fundamental organizing principle of the brain [is to] minimize danger [and] maximize reward.”1Imagine change to be a saber-toothed tiger jumping out from behind the weeds. It threatens the brain, igniting us to fight-or-flight. This automatic reaction is governed by very primitive brain circuitry involving different structures of the brain, and is a mechanism the brain heavily relies upon.2 This primitive and automatic hardwiring begins to illustrate why change can be so difficult for many of us. The brain’s embedded need is to scan our environment for “errors” – perceived differences between expectation and actuality. These “errors” produce a cascade of intense neuronal firing, much stronger than the firing caused by familiar stimuli.3 Situations that signal a large discrepancy from our expectations of our environment awaken the “saber-toothed tiger.” The part of the brain that comes alive with intense neuronal firing – known as the error-detection circuit, the anterior cingulate cortex – is sensitive to both internal and external sources of error information.4 Whatever the situation may be, from changing one’s eating habits to being diagnosed with a disease, too much variation in our environment puts the brain on high alert. The error-detection circuits are also closely wired to the brain’s emotional centers. This alone suggests that change can be an emotional process. Often, our emotional state is automatic, causing the brain to behave more impulsively and less rationally, and decreasing the brain’s ability to implement positive change.5 Encouraging our patients to explore and understand their perceptions and expectations of any particular event – especially one that is linked to emotional triggers (eg, disease, disability, death), is fundamental to counter the automatic nature of our error-detection circuit. Emotional labeling and reappraisal strategies are two effective tools that help disrupt the automatic nature of the brain’s response to threatening stimuli. With training, there is diminished activity in emotion-processing areas of the brain – the amygdala and other limbic regions, and increased activity in the executive functioning area of the brain – the prefrontal cortex (PFC).7,8 This is extremely valuable because the prefrontal cortex is the area of the brain responsible for understanding, deciding, recalling, memorizing, and inhibiting.6 All of these are invaluable when trying to establish positive change and minimize the brain’s threat response. Emotional labeling helps patients build an inventory of words associated with their sensations. Eventually, as the brain begins to react to an “error,” the patient can identify his or her emotion(s) and label it in a word or two. Doing this is in “real time” promotes emotional clarity and increases PFC activation.9Reappraisal techniques focus on an individual’s subjective appraisal of an event or perceived threat, ie, the meaning and significance that leads to an emotional reaction, rather than the event itself. Redefining the threat as an opportunity for personal growth, or simply a chance to do something in a different way than originally planned, can have tremendous emotional benefits.10 Mastering these techniques allows the brain to maximize its response to a challenge while minimizing its impulsive reaction, thereby offering an opportunity to create new mental maps. Our brain’s threat response, due to the presence of “errors,” is not limited to fear for our physical safety. It also includes emotional states such as sadness, anxiety, depression, mind-wandering, and, in extreme states, attention deficit disorder.11 Recently, researchers have discovered that social situations that trigger the threat response provide a more intense neural fingerprint than when the brain’s reward circuitry, through positive stimulus, is activated. Furthermore, it has been demonstrated the brain holds onto the threat longer than the reward,12 perhaps indicating another “brain-reason” for why we must repeatedly praise, acknowledge, and celebrate when patients are willing and motivated to face their perceived challenge for change. 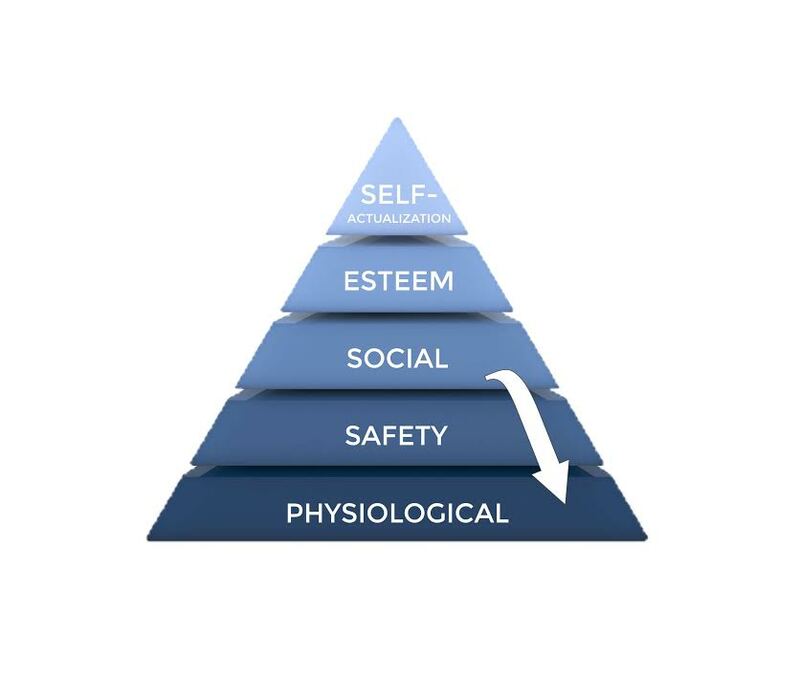 Social-cognitive neuroscientist Matthew Lieberman suggests, however, that this hierarchy misplaces “social needs” by placing it in the middle, rather than at the base of the hierarchy (Figure 2). According to Lieberman, the neuronal activity that propels us toward food and away from predators is also stimulated by social threats. The brain responds to being hungry, being rejected, or adopting change with similar neuronal activity.14 Triggers that threaten our social needs can seem subtle, but the brain uses significant resources in responding.15 The brain is supremely sensitive to initiating any change that threatens the brain’s social mental maps.3 This might explain why some patients justify their eating habits with the infamous phrase, “You don’t make friends with salad.” Making any change – in this case one’s diet – in a social setting that is unsupportive can feel just as threatening as any physiological need not being met. Fortunately for us, the brain, and its 10 000 neuronal connections are able to change through insight and experience, aka neuroplasticity – the ability to alter our brains by actively focusing attention in constructive ways.17 Insight is the elixir for sustainable positive change and an engaging life. The brain’s inclination is to go from problem to habituated action, based on previously-created, automatic, low-energy mental maps. Knowing this, when a patient encounters a dilemma or recurring problem, from a neuroscience perspective they are experiencing conflicting mental maps. These conflicting maps, or values, make competing demands on the brain’s resources. The brain must then reconfigure the existing maps and reconcile the conflicts.18 Patients can learn how to interact with a conflict better by consciously adding a few key steps to the process (Figure 3). Helping prepare the brain to absorb insight, and therefore changing how the patient thinks, is critical. Recent research suggests that when the brain suppresses irrelevant thoughts, such as tangentially-irrelevant past experiences, it allows the brain to “attack the next problem with a ‘clean slate.’”19 The more repetitive this process becomes, the more likely the patient will be able to create self-directed neuroplasticity20(Figure 3). Self-directed and self-achieved insights make the brain come alive. It’s akin to reading a good story or watching a good movie and reaching a conclusion where the storyline falls into place. Without insight, you are left with a punch line without a joke; only with insight can you understand how you arrived at the punch line. When our brain achieves insight, high-frequency oscillations called gamma-band waves occur. This is the only frequency found in all regions of the brain when the brain is simultaneously processing information across different regions. This event signals that the brain is creating new mental maps – a super map – linking many regions of the brain together.18 Creating an action plan that is aligned with the new mental map, ie, the patient’s insights, makes the value of change much more attractive to the brain. Write a list of at least 25 reasons why [insert goal/change] is important or of value to you. Make sure to draw from all areas of your life. Write about how [insert goal/change] will increase your joy/engagement in your life. Re-write and re-read your list each day for the next 2 weeks. During the same period of time, keep a journal to document opportunities that allow you to implement [insert goal/change]. Neuroscience has helped us to understand the nuances of change. The Autopilot Brain’s preferred metabolically-efficient processes are evolutionarily programmed and use mental maps that are rehearsed and automated. The Social Brain’s challenge to change may be just as threatening as any physiological need not being met. The Insightful Brain demands a solution-oriented approach to reach meaningful insights regarding the value and connection to the change, therefore minimizing the potential for change to remain threatening. These 3 factors can help make the universal challenge of change become more manageable, sustainable, and meaningful for our patients and ourselves. Gordon E. NeuroLeadership and Integrative Neuroscience: “it’s about VALIDATION stupid!” NeuroLeadership Journal. 2008;1:71-80. The Limbic System. In: Purves D, Augustine GJ, Fitzpatrick D, et al. Neuroscience. 2nd Sunderland MA: Sinauer Associates, Inc; 2001. Available at: http://www.ncbi.nlm.nih.gov/books/NBK11060/. Accessed January 18, 2015. Rock D. Schwartz J. The Neuroscience of Leadership; Breakthroughs in brain research explain how to make organizational transformation succeed. Strategy + Business Web site. http://www.strategy-business.com/article/06207?pg=all. Accessed December 13, 2014. Holroyd CB, Nieuwenhuis S, Yeung N, et al. Dorsal anterior cingulate cortex shows fMRI response to internal and external error signals. Nat Neurosci. 2004;7(5):497-498. Goleman D. Emotional Intelligence: Why it can matter more than IQ. New York, NY: Bantam Books;1995. Rock D. Your Brain at Work; Strategies for Overcoming Distraction, Regaining Focus and Working Smarter All Day Long. New York, NY: HarperBusiness; 2009. Ochsner KN, Gross JJ. The cognitive control of emotion. Trends Cogn Sci. 2005;9(5):242-249. Lieberman MD, Eisenberger NI, Crockett MJ, et al. Putting feelings into words: affect labeling disrupts amygdala activity in response to affective stimuli. Psychol Sci. 2007;18(5):421-428. Vine V, Aldao A. Impaired emotional clarity and psychopathology: a transdiagnostic deficit with symptom-specific pathways through emotion regulation. J Soci Clin Psychol. 2014;33(4):319-342. Troy AS, Wilhelm FH, Shallcross AJ, Mauss IB. Seeing the silver lining: cognitive reappraisal ability moderates the relationship between stress and depressive symptoms. 2010;10(6):783-795. Rock D, Tang Y. Neuroscience of engagement. NeuroLeadership Journal. 2009;2;1-8. Available at: http://www.davidrock.net/files/A2_NOE_US.pdf. Accessed December 13, 2014. Rock D. Managing with the Brain in Mind. Strategy + Business. 2009;56:1-10. Available at: http://www.davidrock.net/files/ManagingWBrainInMind.pdf. Accessed December 13, 2014. 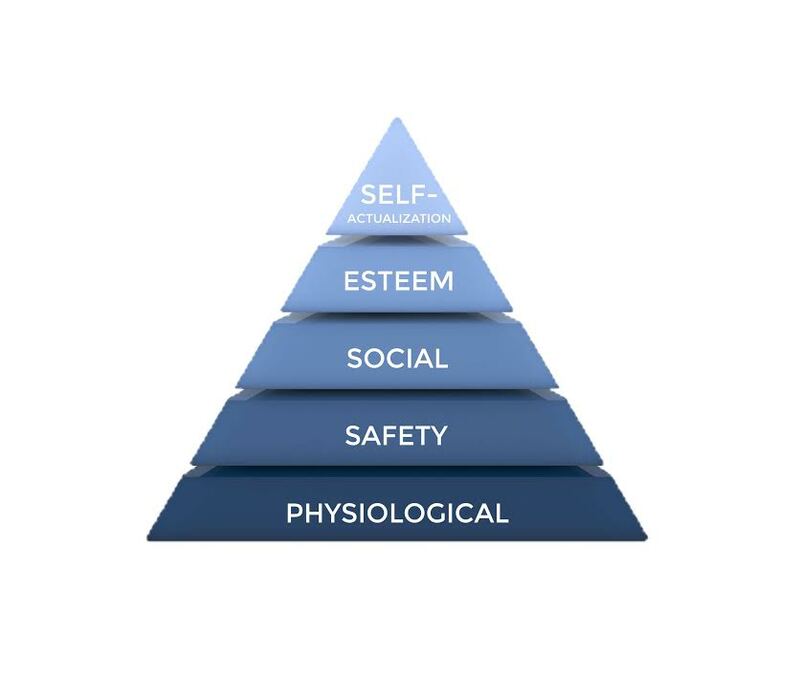 Maslow AH. A Theory of Human Motivation. Psychological Review. 1943;50:370-396. Available at: http://psychclassics.yorku.ca/Maslow/motivation.htm. Accessed December 13, 2014. Lieberman MD, Jarcho JM, Berman S, et al. The neural correlates of placebo effects: a disruption account. 2004;22(1):447-455. Friedman RS, Forster J. The effects of promotion and prevention cues on creativity. J Pers Soc Psychol.2001;81(6):1001-1013. Merriam-Webster Dictionary. Available at: http://www.merriam-webster.com/dictionary/insight. Accessed January 18, 2015. Siegel DJ. An Interpersonal Neurobiology Approach to Psychotherapy: Awareness, Mirror Neurons, and Neural Plasticity in the Development of Well-Being. Psychiatr Ann. 2006;36(4):248-256. Available at: http://lifespanlearn.org/documents/Siegel-IPApproachtoPTdraft2.pdf. Accessed December 13, 2014. Rock D, based on an interview with Schwartz M. A Brain-Based Approach to Coaching. Intl Journal of Coaching in Organizations. 2006;4(2):32-43. Available at: http://www.resultscoaches.com/files/CoachingTheBrainIJCO.pdf. Accessed December 13, 2014. Kounios J, Frymiare JL, Bowden EM, et al. The prepared mind: neural activity prior to problem presentation predicts subsequent solution by sudden insight. Psychol Sci. 2006;17(10):882-890. Csikszentmihalyi M, Csikszentmihalyi IS, eds. Optimal Experience: Psychological Studies of Flow in Consciousness. Melbourne, Australia: Cambridge University Press; 1988. Bowden EM, Jung-Beeman M, Fleck J, Kounios J. New approaches to demystifying insight. Trends Cogn Sci.2005;9(7):322-328. Goleman D. Focus: The Hidden Drive to Excellence. New York, NY: HarperCollins Publishers; 2013. Whiting J, Jones E, Rock D, et al. Lead change with the brain in mind. NeuroLeadership Journal. 2012;4:1-13. Available at: http://www.davidrock.net/files/07_Lead_change_with_the_brain_in_mind_US.pdf. Accessed December 13, 2014.